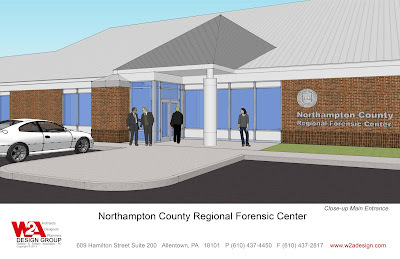 W2A has been working closely with Coroner Zachary Lysek, completing a study for a much-needed forensics center in Northampton County. 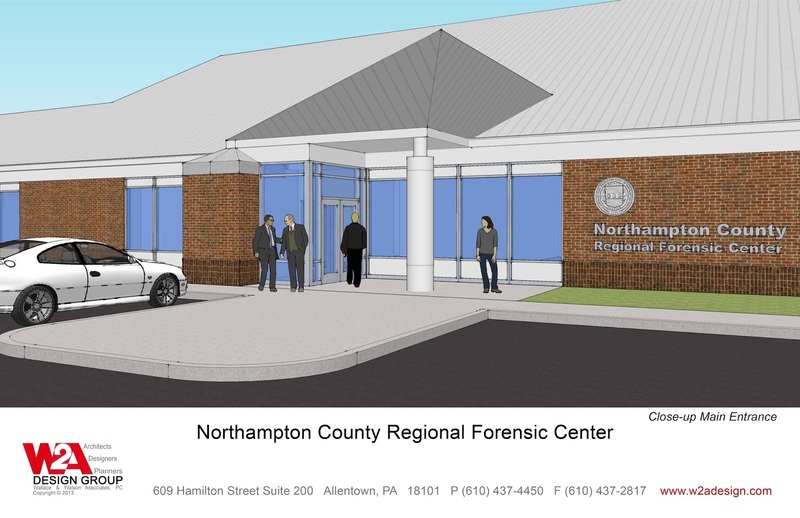 Preliminary designs presented by W2A Design Group to supportive County officials provide a cutting edge / state-of-the-art facility that will address the needs of the County far into the future. The design of the 23,770 S.F. 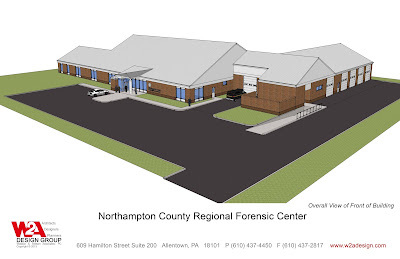 center incorporates features such as specialized equipment and building systems, a large refrigerated area and private viewing area for families, as well as a secured enclosed drop-off area and large storage garage for Coroner’s vehicles, mobile lab equipment and space for crash investigations. Space was designed to be flexible and adaptable. Special consideration was given to work flow process and space utilization / efficiencies. Future expansion has been accommodated in the facility organization.